The most important vocabulary words for younger children! 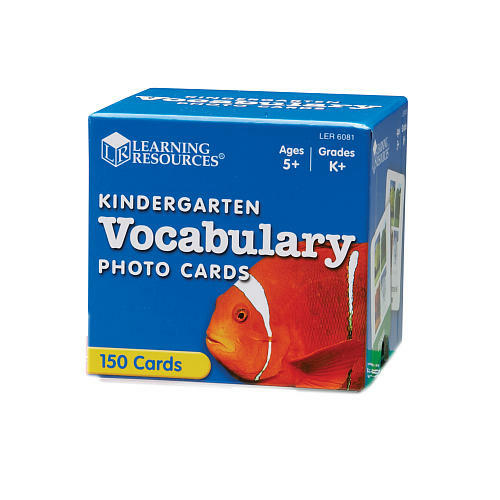 The Kindergarten Vocabulary Photo Cards is a large set of colourful cards that is organized by subject for cross-curricular, oral language practice. Card FRONT features key word and familiar real-life photo. BACK offers example of word in a sentence and picture. 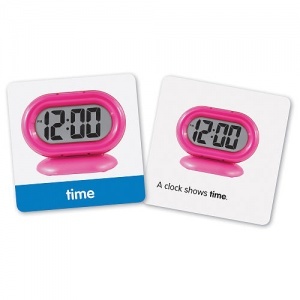 Includes 25 challenge words to stretch skills. 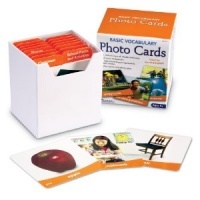 Includes 150 Write & Wipe cards in storage box and Activity Guide. Expand vocabulary and develop language skill with this real life 156 photo cards activity set.